Time for another new client – welcome Saturn Sports! We’re delighted to say that we’ve recently started working with a brand new online retailer! Saturn Sports, based in Cambridgeshire, supply a range of digital stopwatches ideal for timing sports and other time sensitive activities. Their selection of high quality sports stopwatches are suitable for timing most events and offer an excellent range of features at great prices. Our role will be to promote Saturn Sports across as many social media platforms as possible, to let people know that they are able to supply unique stopwatches at unbeatable prices to clubs, schools, shops and other institutions. The Saturn Sports website is easy to use and payment can be made with credit card, PayPal, Cheques and Bank Transfers. Orders are typically dispatched within 3-4 working days and trade accounts are also available. Follow @SaturnSports on Twitter for product news, time facts, discussions and more. 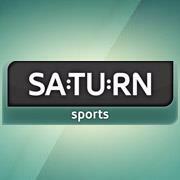 Find the Facebook page at https://www.facebook.com/SaturnSports & “LIKE” to keep updated with all the latest news from Saturn Sports HQ!